This tool is a great way that students can use right at their seats during any lesson. 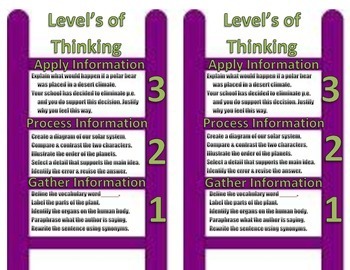 The ladder is a visual model for students to see the progression of the questions. 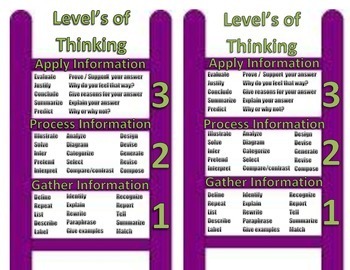 The front side displays the three levels and sample verbs that are found in each level. The back side has question samples that will help students create their own questions. Print the ladders back to back.